I guess this is what a lot of kids, and maybe some adults, are experiencing during this time of year. I'm experiencing it in a very different way, but with no less excitement. 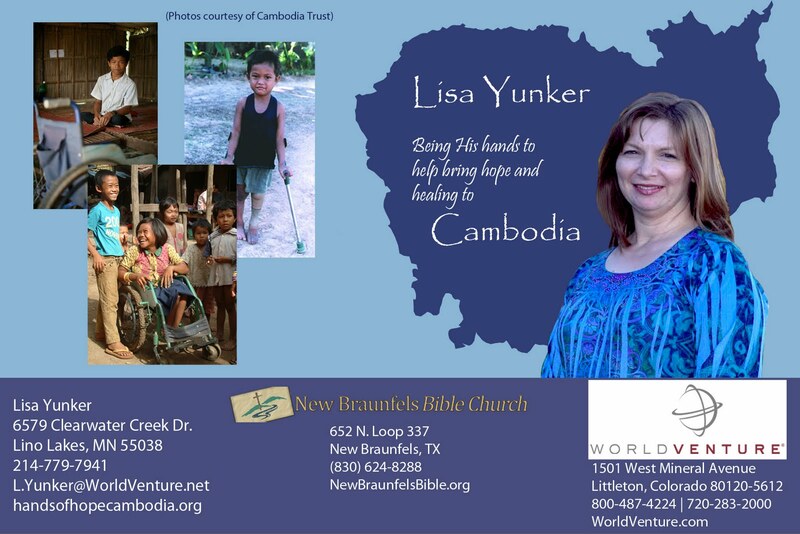 I'm still very hopeful about leaving for Cambodia in February and anticipating seeing the Lord at work in making that happen. 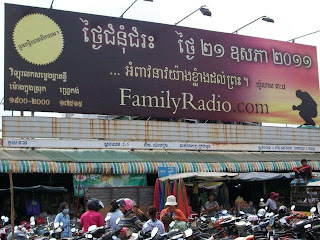 I'm anticipating some mixed emotions too as I continue to say goodbye to friends and family, but having seen photos of my new place in Cambodia I'm eager to get there and get settled in. I'm looking forward to jumping into language learning and building relationships in my new community to facilitate that process. I'm excited to be able to be with my colleagues in Children in Families, both expat and Cambodian, and to meet the children and families they are currently serving. Please pray with me that my eager expectation will be met with the Lord's provision for a February departure and that any potential obstacles to this will be removed. I just posted yesterday that Iran is the the country where Evangelical Christianity currently has the highest rate of growth in the world. Unfortunately, it is also one of the worst countries in the world for Christian persecution, which is what makes the growth rate that much more amazing. Pastor Youcef Nadarkhani is currently facing execution for his faith. He was arrested two years ago because he wanted his son to receive Christian education rather than having to study the Koran. He has been offered the opportunity to recant his faith but refuses to deny Christ. Please ask that the Lord would grant him strength to continue to stand, that his life would be mercifully spared, that his family would be comforted, and that the name of Christ would be glorified in Iran and around the world through Pastor Youcef's bold witness. He is one of many whose lives shout out to the world, "JESUS IS WORTH IT!!" We're # 4! We're # 4! Okay, so that's never going to be a very popular cheer at sporting events. Still, I think being in fourth place is a great cause for celebration in this instance. During the seminar presented by Jason Mandryk, author of Operation World, at the Desiring God national conference this past weekend he listed some rankings on the rate of growth of Evangelical Christianity in different countries around the world and Cambodia was in fourth place! Here and in many other parts of the world the rate of increase in the numbers of Evangelical Christians is higher than the rate of growth of the population as a whole. And who do you think came in 1st & 2nd place? Iran and Afghanistan! What an amazing God we serve! What an exciting time to be partnering with God in building His kingdom!